Prevent Blindness has announced the recipient of the 2018 Jenny Pomeroy Award for Excellence in Vision and Public Health as the Johns Hopkins University School-Based Eye Care Team. 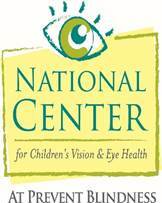 The award will be presented at the 7th Annual Prevent Blindness Focus on Eye Health National Summit in Washington, D.C., on July 18, 2018. Prevent Blindness created the Jenny Pomeroy Award for Excellence in Vision and Public Health to recognize an individual, team, or organisation that has made significant contributions to the advancement of public health related to vision and eye health at the community, state, national, and/or international level. Members of the Johns Hopkins University School-Based Eye Care Team are part of Wilmer Eye Institute’s Dana Center for Preventive Ophthalmology at the Johns Hopkins University School of Medicine and Center for Research and Reform in Education at the Johns Hopkins University School of Education. The team’s first project in school-based eye care was the Baltimore Reading and Eye Disease Study. Based on results from their earlier work, they are now working in partnership with Baltimore City Health Department, Baltimore City Schools, Vision To Learn, and Warby Parker on “Vision for Baltimore,” a city-wide school-based vision programme. The Johns Hopkins University team has now expanded this work, collaborating with Chicago Public Schools in the new “Vision for Chicago” research programme to conduct a longitudinal assessment of the impact of glasses on academic performance, as well as the impact of a school-based professional development programme on teacher engagement and student use of eyeglasses. With these projects, the team aims to lay the groundwork for reform of public school practices and national education policy regarding vision care, and potentially form alliances between educators and eye care professionals.